Looking for a beautiful custom personalized Valentine's Day, Birthday, Mother's Day, Christmas Gift, 5th anniversary gift for your wife, daughter in law, or a wedding gift for the newlyweds? 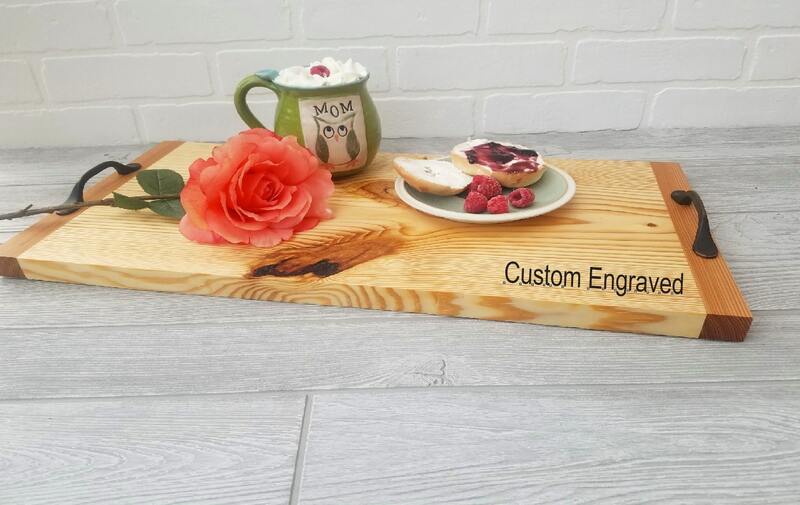 This beautifully crafted solid wooded serving tray that can be custom engrave as per your request will make the perfect gift or the perfect serving tray for your wife, mother, daughter in law, girlfriend, sister, sister in law, or anyone special on your list. 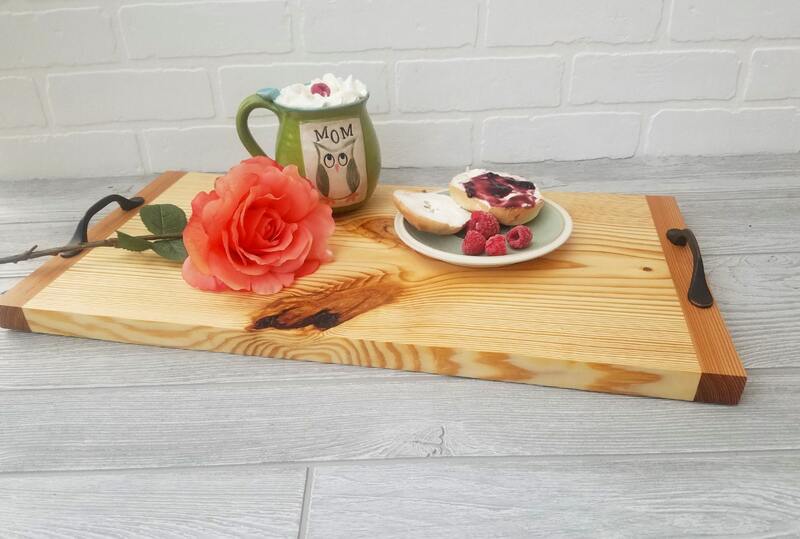 Serve your special someone breakfast in bed on Valentines Day, Mother's Day, on her birthday, or anniversary with this amazing solid wooden serving tray. Each tray will have it's own uniqueness and will make a perfect addition to any rustic home decor. No two trays are going to be the same as each is made from different pieces of wood. 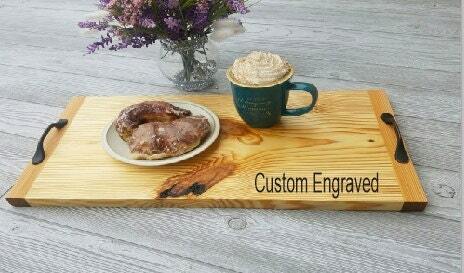 The tray in the picture is ready to be custom engraved with your choice of words or design if you would like it engraved. For any questions or requests contact us. To leave us your personalization information you may do so in the " Note to Seller" box at checkout or in the messages.